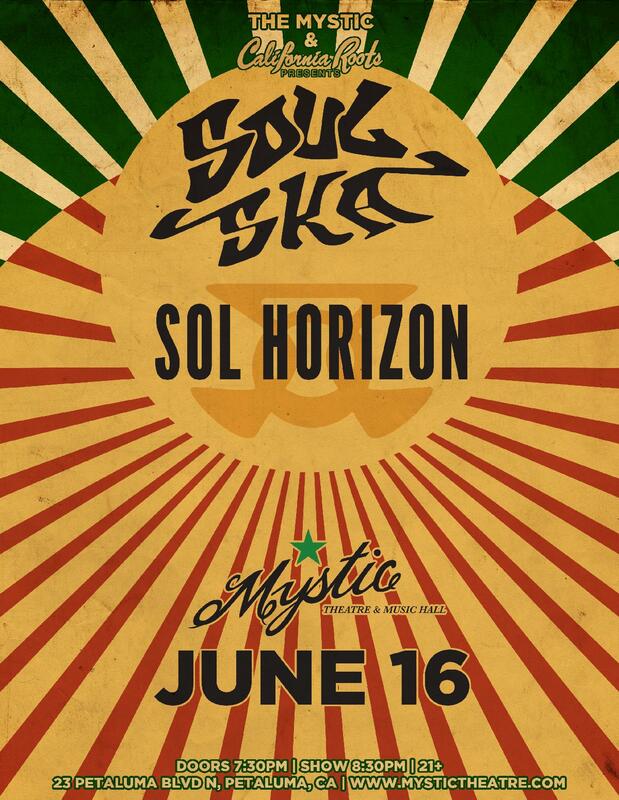 Twice voted “Best Reggae Band” in the North Bay Area, Sol Horizon is an original California 7-piece that seamlessly fuses reggae with funk, rock, hip hop and world beats. Renowned for energetic live performances and powerful lyrical content centering on themes of peace, community, sustainability and the re-vitalizing power of nature, the band moves feet and inspires minds, creating a positive musical experience that continues to attract fans from across the globe. Anchored my former members of Groundation and Les Claypool's Frog Brigade, Sol has shared the stage with legendary acts like Ziggy Marley, Steel Pulse, Anthony B, The Wailers, Morgan Heritage, Collie Buddz, Don Carlos, and Eek-a-mouse (to name a few) in both concert halls and festival stages across the USA. After touring in support, they collaborated with British Roots Reggae artist Pato Banton on the recording of their second album "Party Revolution," which featured Pato on the title track. In 2018, the band released their 4th album 'Under the Sun" under the direction of Grammy winning engineer Isha Erskine.